ODLICAN SA 12 TEGOVA moguca dostava uz doplatu!!! 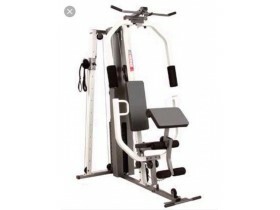 Seven Workout Stations: Bench Press, Butterfly, Leg Developer, High Pulley, Low Pulley, Lat Pulldown, Preacher Pad. 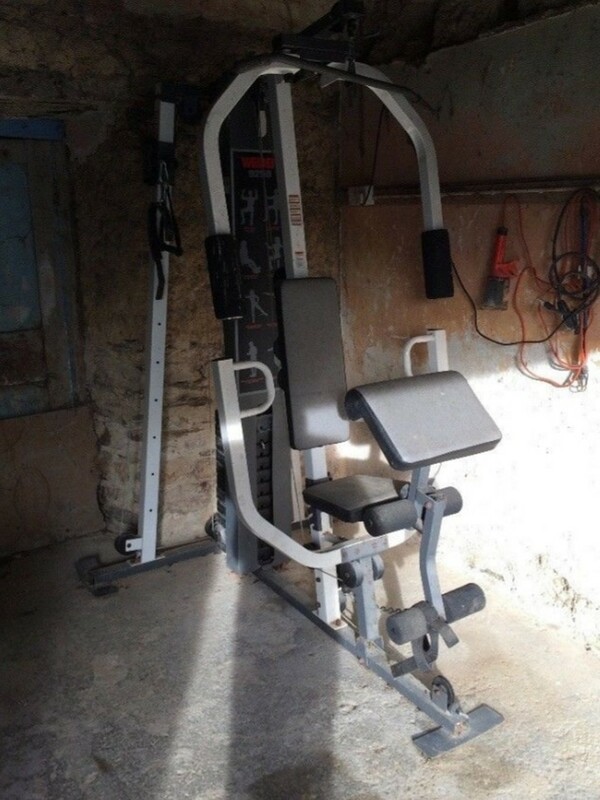 Plus Adjustable seat height. Unique free motion pulley system for a totally versatile workout. Housing: 60 kg of load with 12 plates covered with vinyl. This coating constitutes a durable completion and much quieter than bare cast iron. A protection system maintains the plates aligned thus ensuring a more flexible movement and in full safety. 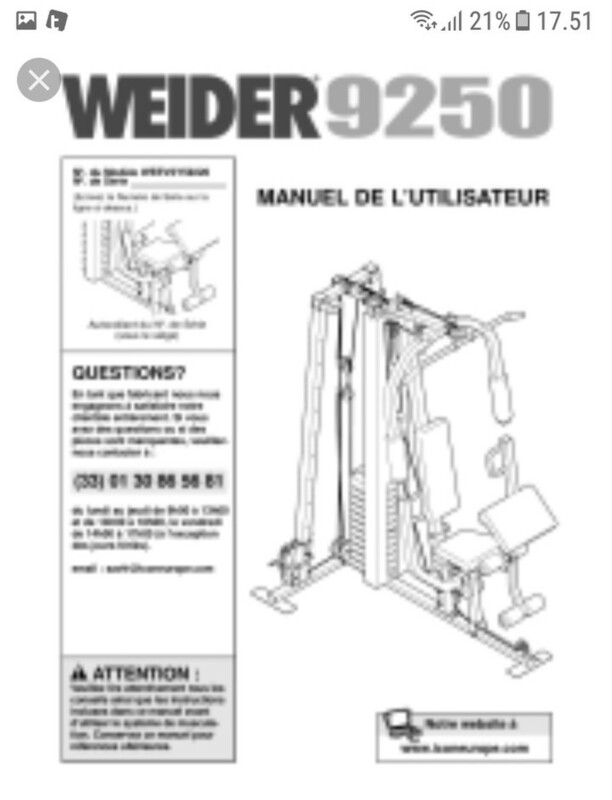 Bench Press: Develops the muscles of the chest and the interior of the thorax. Max resistance: 136 kg. Butterfly: For the muscular definition of the pectoral ones. 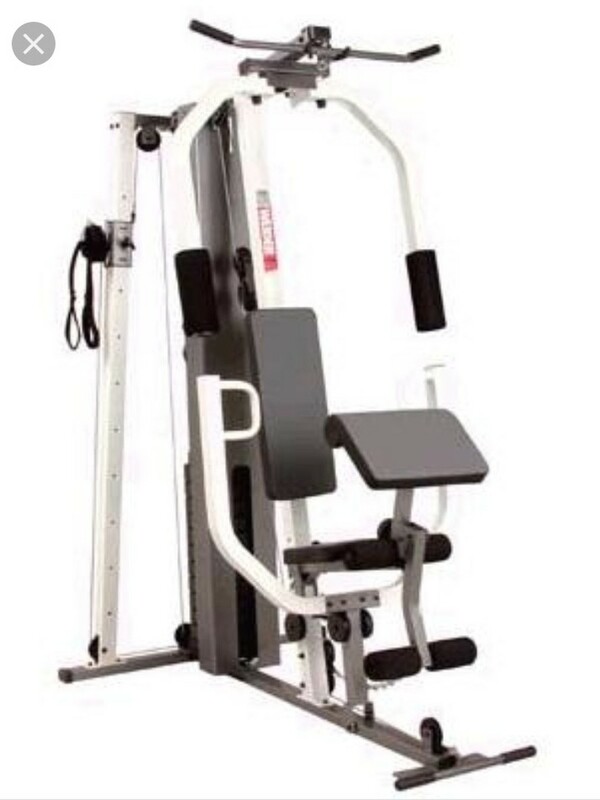 High pulley: For the development of the muscles of the arms, the shoulders and the back. Low pulley: Allows the execution of a large variety of exercises such as the throw of legs, the inflection of the arms and central pulling. 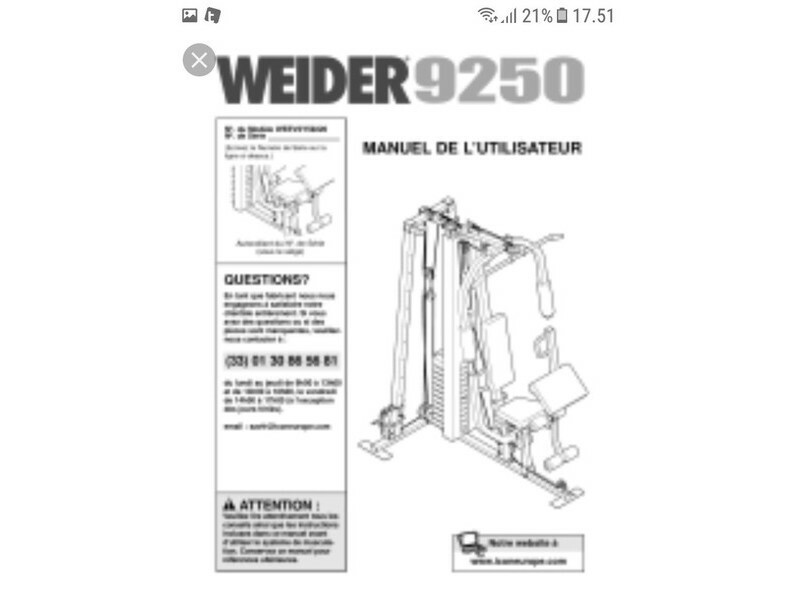 On this model the low pulley is below the seat so that there does not need to remove this to make use of it..
Leg Developer: To develop the inflections and the extensions of the legs guarantee the reinforcement of the lower limbs for the practice of all the sports. 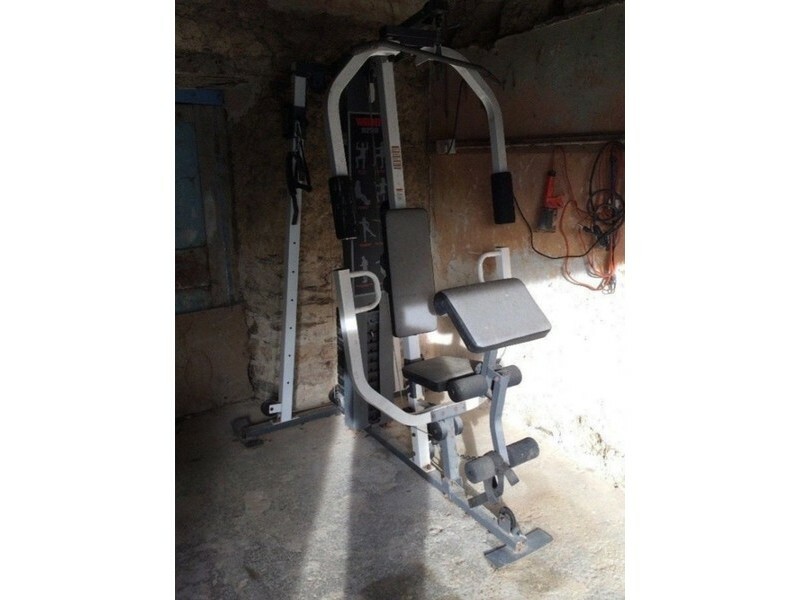 51-kg DuraStack: New system of reduction which makes it possible to obtain more resistance on the exercise thanks to the play of reduction of the cables and the pulleys. Dimensions: L = 161 x W = 100 x H = 214 cm.